What does a woman have to do to succeed in the world of science? It is 1953 and Dr. Rosalind Franklin, brilliant, passionate and ambitious, pours herself into her work at King's College Lab in London. When fellow scientists Watson and Crick find out about her discoveries in the field of DNA, her work is suddenly not her own - and shortly thereafter they claim credit for a major breakthrough. A compelling drama about a woman's sacrifice for professional success, Photograph 51 asks how we become who we become, and whether we have any power to change. 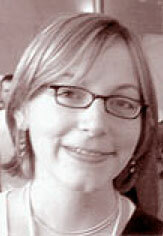 Anna Ziegler's other plays include Dov and Ali (Theatre 503, London, June-July 2008), BFF (W.E.T. at the DR2 Theatre, 2007), Novel (SPF, 2007), Life Science (Bulldog Theatrical, 2007), Variations on a Theme (workshopped in July 2008 by Chautauqua Theater Company, directed by Ethan McSweeny), In the Same Room, The Minotaur, To Be Fair, and Everything You Have. Ziegler's plays have been developed by the Sundance Theatre Lab, The Old Vic New Voices program, Primary Stages, The Geva Theatre Center, The McCarter Theatre, The Lark Play Development Center, Ars Nova, Theater J, New Georges (where she is an Affiliate Artist), Clubbed Thumb, The New Harmony Project, The hotINK Festival, Icicle Creek Theatre Festival, Catalyst Theater, The Playwrights' Center PlayLabs Festival, The Fireraisers Theatre Company at the Hampstead Theatre (London) and The Birmingham Rep, and by Company B at the Belvoir St. Theatre (Sydney, Australia). She was a Dramatists Guild Fellow for 2004-2005, a member of the 2005 Soho Rep Writer/Director Lab and the 2007-2008 Lark's Monthly Meetings of the Minds writers' group. She has been published in Ten-Minute Plays for 2 Actors: The Best of 2004 (Smith and Kraus, Inc.) and New American Short Plays 2005 (Backstage Books, ed. Craig Lucas). BFF and Life Science will be published by Dramatists Play Service, and BFF will be included in the anthology New Playwrights: The Best Plays of 2007 (Smith and Kraus). A graduate of Yale, she holds an MFA from NYU's Tisch School of the Arts. Anna Ziegler's poetry has appeared in The Best American Poetry 2003, The Threepenny Review, The Michigan Quarterly Review, Reactions, The Mississippi Review, Arts and Letters, Mid-American Review, Smartish Pace, The Saint Ann's Review, and many other journals.